Perth’s Best Emergency Dentures Professional & Top Quality. Nothing takes a smile from your face than your dentures breaking, and usually at the most inconvenient times. Our emergency denture repairs and relines can have you on your way in no time. We repair the dentures in our office so that clients can get personalised and quality repairs in the shortest possible time. 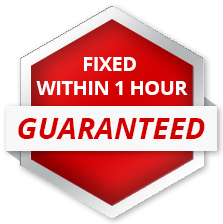 Depending on the severity of the problem we can generally have them repaired in 30-60 mins. You can even go shopping at Carousel Shopping centre (200 metres from our office) while we repair them (no sending them away). Our emergency denture repair page has all the details. Our newest and most popular denture product. Instead of your dentures resting on your gums, which can result in them falling out at inconvenient times, and can be embarrassing as well, the new overdentures are an implant which has 4 pins that attach to the base of your existing bone line. You can clip them in and out with ease which saves the anxiety of worrying about your dentures. 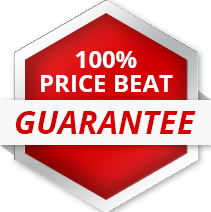 If this sounds like something you might be interested, there is a FREE consultation on your first visit and the options can be explained to you. Click on this link to the overdenture page for full details. Sometimes you can lose teeth due to a sickness, injury or an accident. This means full dentures are unnecessary; using partial dentures can make you feel whole again and put a smile on your face. A partial denture is a great option for when you still have some healthy teeth but need to enhance your smile without the need for a full denture. It is a prosthetic procedure which uses your existing teeth in the upper or lower jaw to make the denture stable or we can use an implant or the existing bone structure as support for partial dentures. The removable partial denture, also called dental bridges, has replacement teeth attached to a base. This is generally connected by metal framework to hold the denture in place in the mouth. See our Partial Denture page for more details. Getting full dentures can seem daunting at first but it doesn’t need to be. Denture Professionals can help you get the best fitting full dentures in Perth. Our team can help you decide whether you need full dentures or to replace your existing full dentures with newer flexible dentures with a better look which improves speaking or eating. If you have concerns about your teeth, call us to make an appointment and discuss your denture options and available health rebates. Call us on (08) 9451 1477 today; the first appointment is free. See our full denture page for more details. Donagh McDonagh commenced his dental career in Dental Technology in Dublin, Ireland. 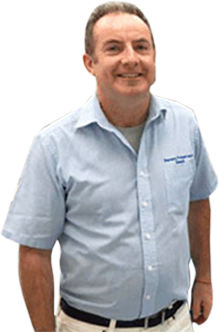 He qualified in 1984 as a Dental Technician, moved to Australia in 1987, and in 1990 qualified as a Dental Prosthetist in with an Advanced Certificate in Dental Prosthetics. Donagh has built his reputation over 3 decades; constantly adding to his skills, experience and knowledge in cosmetic dentures; implant supported dentures and aesthetic dentistry. He understands that the work he does, providing high quality dentures, helps people regain their confidence, improve their quality of life, and feel youthful again. 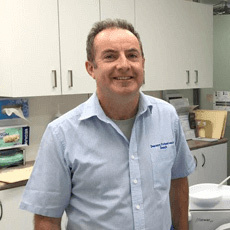 Donagh has operated his own denture clinic for 25 years. His exceptional level of care, customer service and expertise has gained Donagh a solid reputation that his clients trust and respect. Donagh is committed to providing an excellent service to older clients and provides an in house service to aged care facilities for clients that are less mobile but still want and need to feel their best.